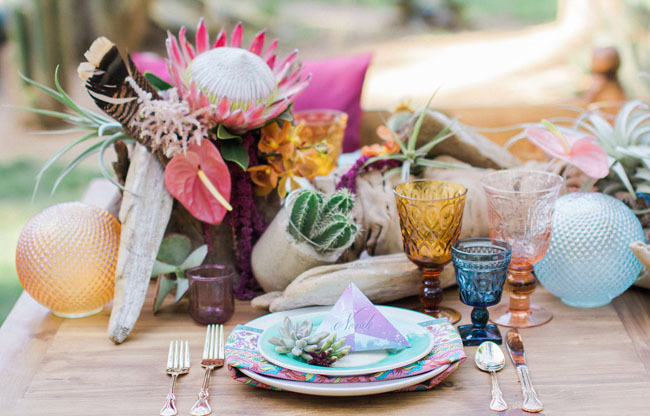 Deeply inspired by the arid desert, the team behind today’s editorial crafted a wedding scene that’s sure to help couples plan a day with a stylish, bohemian vibe. 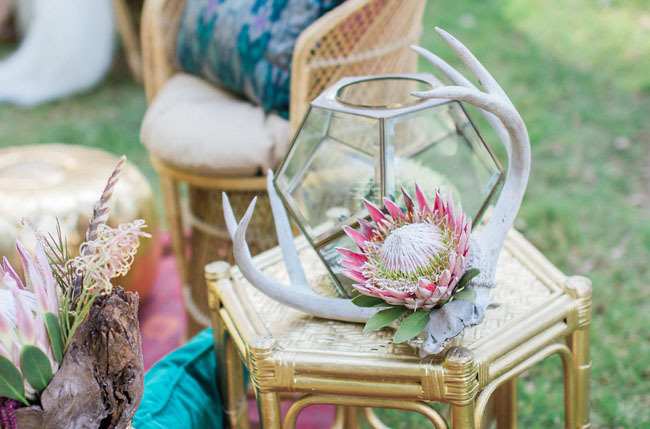 Audrey of Botanica Florals & Event Design not only crafted the stunning bouquets + centerpieces, but she also planned and designed the shoot with photographer, Samantha Kirk. 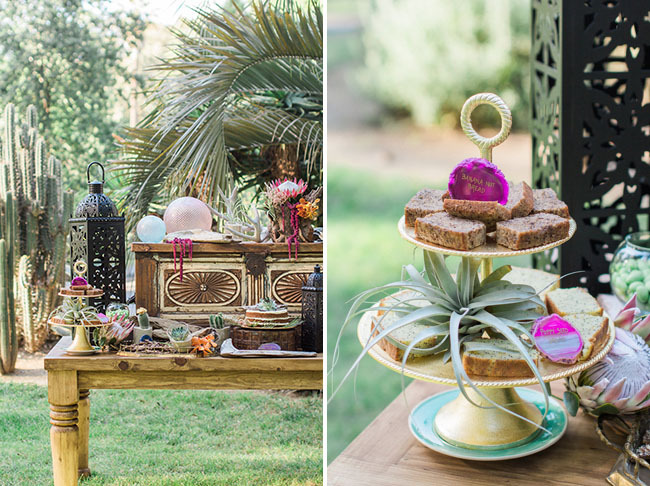 From geodes + geometric patterns to cacti, air plants and fun, bright colors, we are loving the way theses creatives brought out the spirit of the desert and turned it into a romantic + compelling wedding setting. 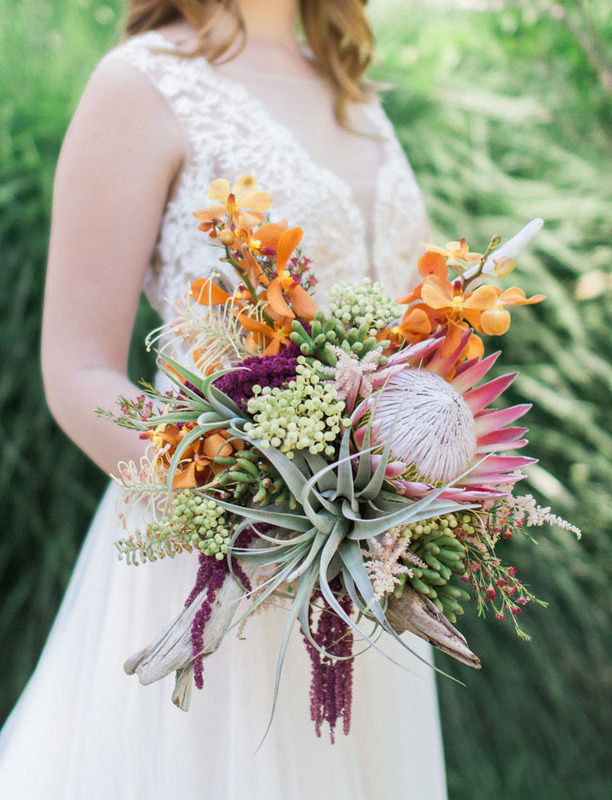 We’re pretty into that bridal bouquet, which featured exotic florals of protea, tillandsia, astilbe, burgundy hanging amaranthus, orange Mokara orchids, berzelia, and driftwood. 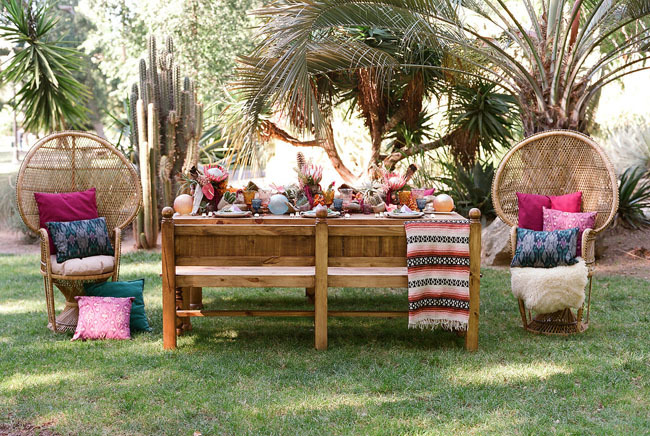 Audrey tells us more about the stunning tablescape, A natural wood table with benches provides a cozy setting for dining. 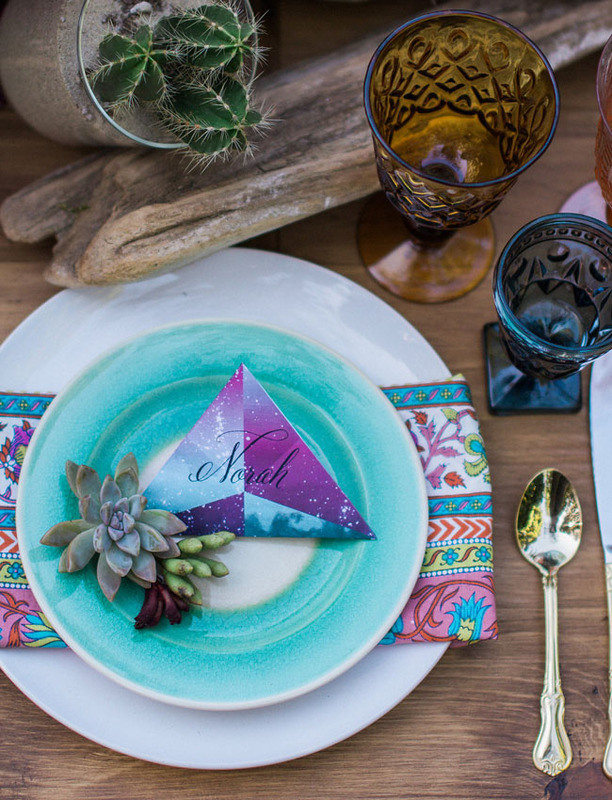 Bright and mixed patterened napkins play with patterns layered with turquoise plates. 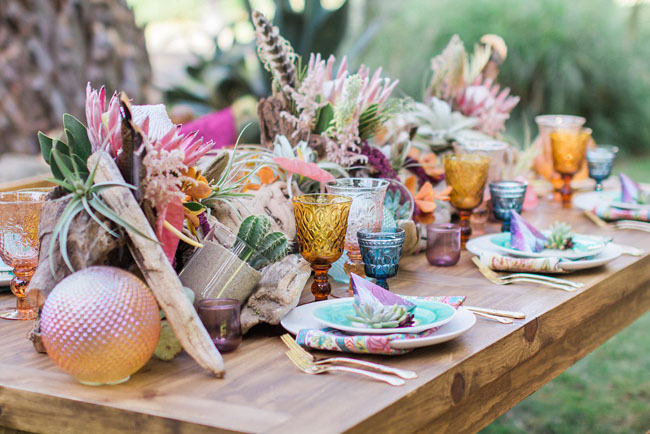 Gold flatware and mixed glassware of amber, blue and pink goblets tie in the colors of the napkin and add an eclectic feel. 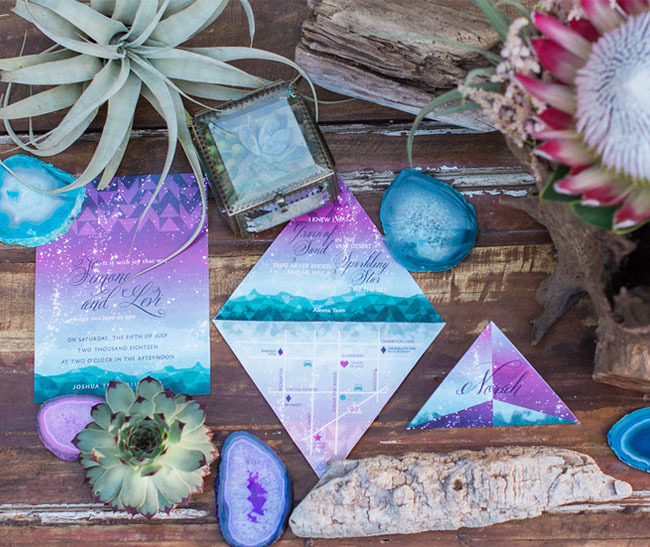 Triangular place cards inspired by the desert sky brought in purple tones to the place settings and were accented with succulents. 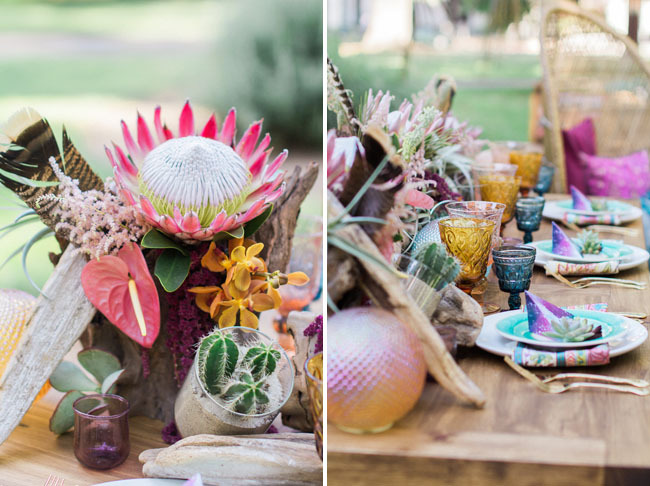 A centerpiece styled as a runner of varying heights of driftwood, inverted tererriums filled with sand and cacti, glass iridescent globes, and florals of anthurium, protea, tillandsia, and grevellia creates interest and context to the surrounding landscape. 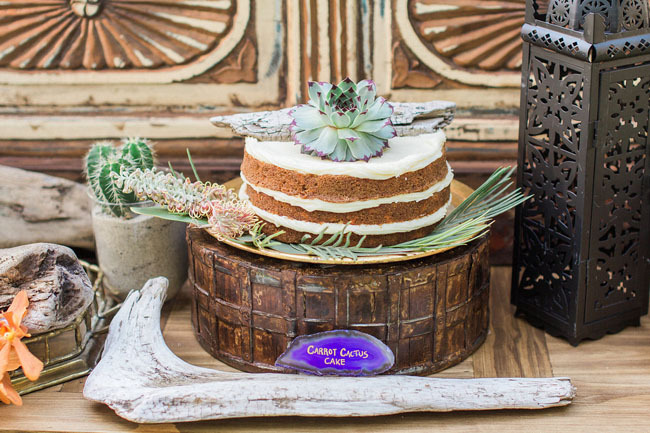 Inspired by the team’s creativity, we put together a fun shopping guide below featuring some similar boho table details! 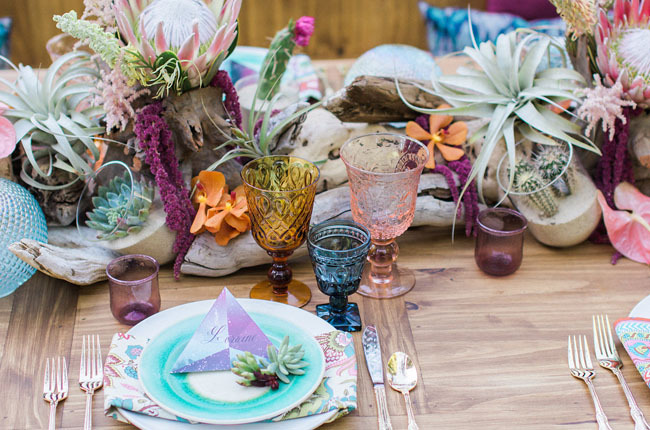 Driftwood + air plants might be a new fave combo around here! 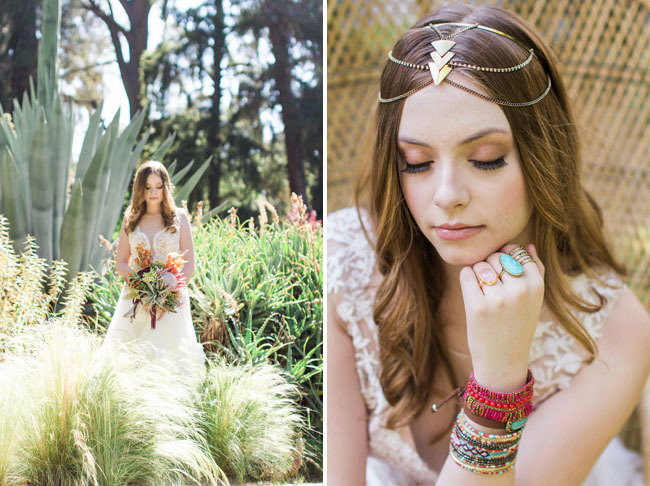 Thanks so much to the talented team below for sharing their work with us today! Thanks so much for sharing!!! 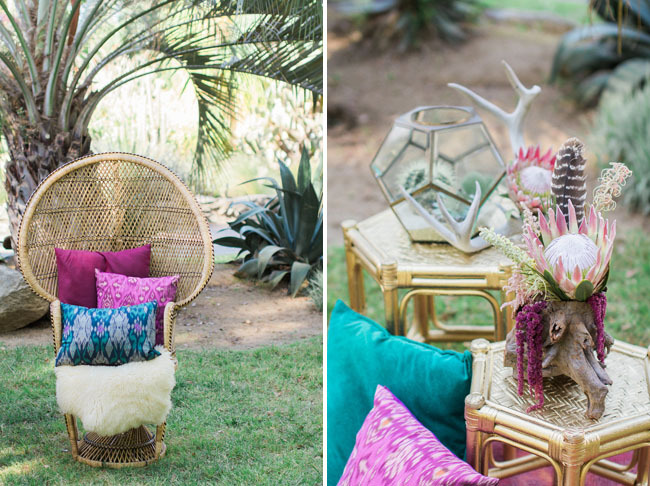 The colors are just so vibrant and the setting is gorgeous. 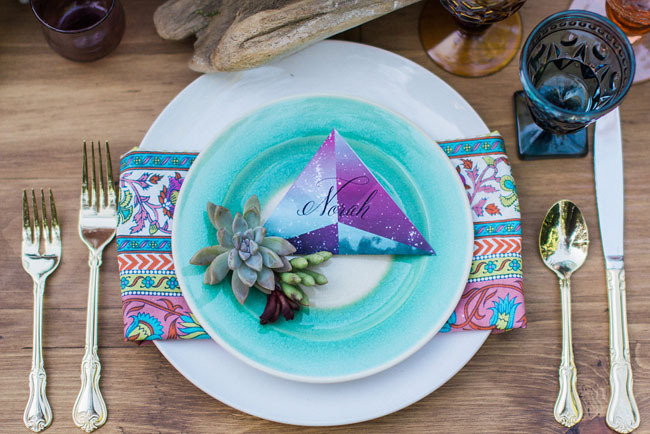 FYI its Paper goods by AmpersandInk Designs. Ampersand is the name of the “&” symbol. 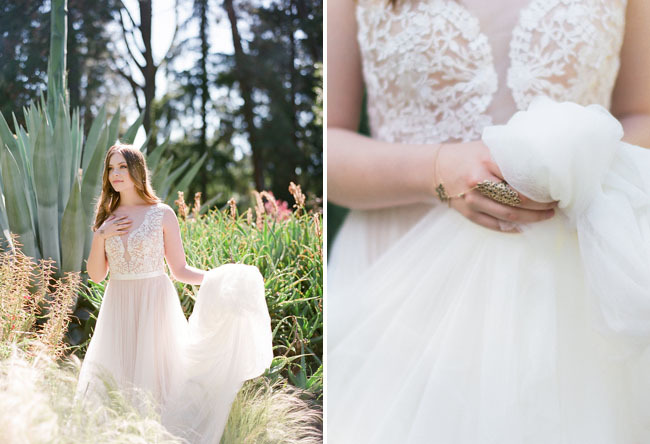 Thank you so much for sharing our shoot with your followers! 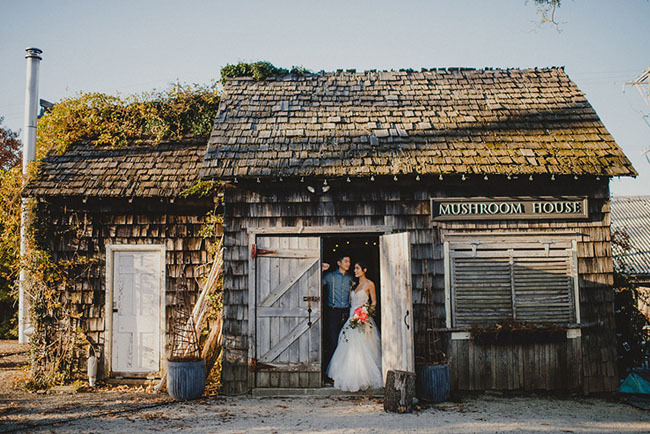 We are thrilled to be featured on Green Wedding Shoes, a blog we all adore so much! 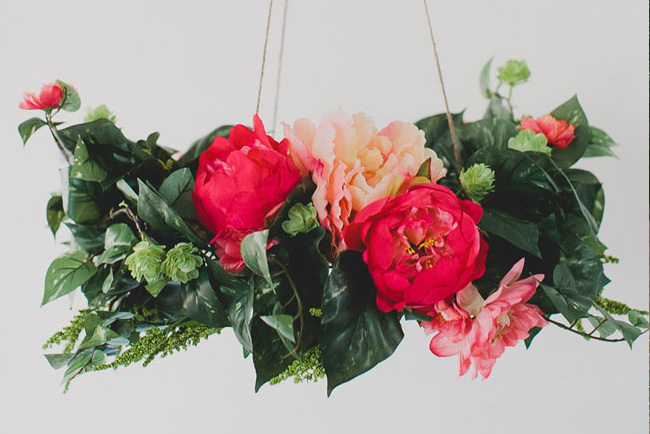 Traditional wedding planning always require a single color tone for the wedding theme but experimenting a bit like using two or three shades in garden wedding decoration really makes sense.